Aunt Dot said she must get down to her Turkey book quickly, or she would be forestalled by all these tiresome people. Writers all seemed to get the same idea at the same time. One year they would all be rushing for Spain, next year to some island off Italy, then it would be the Greek islands, then Dalmatia, then Cyprus and the Levant, and now people were all for Turkey. "How they get the money for it I can't think. Turkey costs about a pound an hour. I suppose they have contacts People are so dishonest in these days. What do you think they are all writing about?" "The usual things, I suppose. Antiquities and scenery and churches and towns and people and Xenophon and the Ten thousand did near Trebizond and what the Byzantines did, and coarse fishing in the Bosphorus and excavations everywhere and merry village scenes." The passage above comes from a wonderfully whimsical book called, "The Towers of Trezibond," by Rose Macaulay, which, although it provides many observations about Turkey, is actually more about the strangeness of the people that come and their odd motivations. The Turkey book. I have often been encouraged to write my own Turkey book but I doubt if I will ever get around to it. My life in Turkey, I'd suppose, is not a particularly "marketable" commodity in the publishing world. As Turkey is both my home and my life, it would probably have to be an autobiography at this point. If nothing else, I can safely say I am only an authority on my life story. I mean, it's one thing to write an account of your experience while living or traveling in Turkey, but it is, in my opini on, quite another to use that limited experience to become an expert on the country or to write a book. Pretending to be an authority on a country as complex as Turkey is asking for trouble. It can inadvertently become embarrassing when writers pass on in accurate information, or tiresome stereotypes or just plain silliness. I love reading about other people's experiences in Turkey. Even people who have been in Turkey a relatively short time because their impressions are based on experience or observations. Impressions don't have to be based on facts, of course and very often, they defy the facts. This paradox makes them more interesting and more real. However, it is sad to find visitors to Turkey (occasionally ex pats), many of whom come, see and rush off to see the next thing, suddenly becoming the expert of all things Turkish to their friends back home. It often seems that experience and understanding take a back seat to the power to impress. What a grand life I am living here, and all that. I suppose it comes from a lack of reflection and interpretation. That takes a bit more time and a bit more thought. It is easier to aim and press the button and then regale the glories on Facebook. A British friend of mine, Ursula, years ago got into the annoying habit of saying, "Been there, done that" to everything anybody else would speak about. It was a marvelous way to dismiss all and sundry. "When I was in Samsun last week, I saw-"
Absolutely nothing you could do could impress her. If you had told her that you were planning to mate with aliens the following night, she would have blown smoke in your face and said her little phrase. And still, if you had asked her to provide one clear and meaningful impression she had of her Turkish experience, she'd only have one or two snappy lines. To me, that doesn't seem particularly cost-effective. "A week on the Black Sea and all I got were these pithy remarks." It is all too easy for traveling to become devoid of meaning and, still worse, end up as merely a way of impressing others. In my parents' day, a tour of Europe was supposed to have the same effect- a two-week rushed tour of all the European capitals is later condensed into 200 slides on the carousel to bore the neighbors with. "Ah, this, my friends, is the five star hotel we stayed in in Roma. Roma, that's what they call Rome, there. Here is the food we ate in Milan. " For middle-aged Americans touring Europe, being there and doing that meant taking a lot of pictures. Because, after all, what's the point of it all if you do not have any proof? On and on, pictures of vast cathedrals, blurry pictures of piles of food, bridges over canals, familiar faces in unfamiliar places. Naturally, the reality was quite different and probably none of the places they saw made any sense to them. Worse, they came and left, unchanged by any of it. Today, for the American in need of stuffing the credentials of their personal history, Europe is less impressive. Even Turkey, once considered the land of Oriental enchantment and rather mysterious is on the verge of being of being over-publicized, but then it always has been. 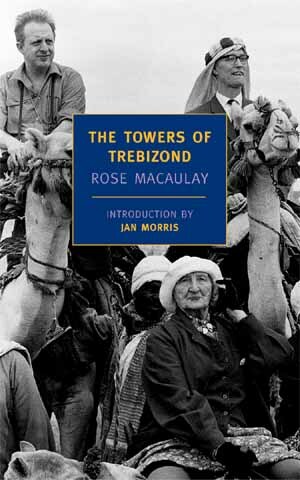 Even back in 1956, when Rose MacCauley wrote "Towers of Trebizond," her Aunt Dot was declaring Turkey to be spoiled, becoming all soft for the Turkey as it once was. My problem is the opposite. After spending only a few days in a place with even a limited degree of comfort and charm, I am ready to pack up all my things and permanently relocate. Antalya was like that. I spent two weeks there many years ago and, although I had planned to tour to outlying villages and whatnot, I ended up becoming too lazy to do anything but soak up the atmosphere of the place. And that is something I especially love about Turkey; if you actually choose to stay in one place and get to know the people who live and work there, ask questions, open up and share things, there is a feeling of belonging that makes all that rushing quite counter-productive and silly. Not long ago, I was at a restaurant in Izmir and one of the waiters became inordinately friendly and explained that he remembered me. Possible, of course, but a little unnerving. As a teacher, you can meet a lot of people who are apt to remember you better than you remember them. But upon investigation, it turned out that nearly a decade before I had spoken with him for a few hours at an open cafe in Cesme, a sunny resort about an hour out of town. We had talked about our lives a little on that early summer day. Here it was, ten years later, and he even recalled my name and my job. It's the thing I suppose I love most about being in Turkey. That warmth that goes beyond expectation. How could you have that experience if you were all about taking in the most in the least amount of time? Ursula has lived in Izmir almost as long as I have. About ten years ago, she made a proposition to my Turkish friend and I. The three of us would " go and do" the southeast areas of Turkey. Despite some qualms- a weekend of traveling with the wrong person is endurable but a week and a half is like dental surgery- I agreed. She loved to play the part of an archaeologist, although, after a few very shallow questions, I decided it all purely on the lowest amateur level. She knew nothing about ancient history, which, at least in my opinion, would seem to be important for archeology- and couldn't tell a Hittite excavation from a hole in the ground. I suppose it was another example of living-abroad-as-character-building exercise. As we moved from city to city, Adana to Antakya to Antep, she would clutch and consult her well-thumbed guide book. She insisted on going to every museum and every ruin mentioned in the book. My Turkish friend was much harder to impress. Some of the things he liked but most he took a brief look at and shrugged. I became very exasperated and fed up with being towed like a derelict barge from spot to spot and had a tizzy-fit in Urfa- I think- one morning. What was the point of being there if I couldn't focus on anything for more than twenty seconds? The strangest part of it all was that her opinion on everything she viewed, tasted, smelled or touched was very dependent on this particular source book. For instance, once when we ate at a rather humdrum restaurant mentioned in the book, we found the chicken overcooked and tough. (If I had pulled out the tongue of my shoe and ate it, it would have been easier and more tasty, I think) I watched as she put all her elbow grease into cutting the desiccated poultry leg, but, as we marched out into the street, she turned and said brightly,"That was one of the best meals I had since we left Izmir." Relying on a book to tell you what to think about your experience seems to me the opposite of travelling. On another occasion, my Turkish friend once played a marvelously wicked- but witty- trick on her. After a weekend in Bergama, he later showed her photographs taken on the trip. She was happy to pass them around and show all her Izmir friends who sat with us, suddenly becoming an expert on this or that. I was slightly confused because I couldn't actually remember some of the places in the photos. Of course, being a philistine, I tend to think one collapsed temple or one toppled pile of columns is the same as any other. So, I really couldn't be sure if any of the places were familiar or not. Later, I learned that, during the trip, my friend had gone into a shop, found some postcards and took photographs of them. 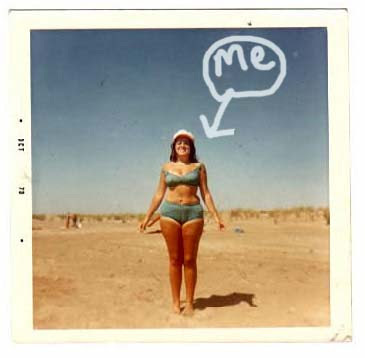 Examining the photographs more closely, I noticed in a few of the corners a large blob of a thumb that held the postcard. This is a brilliant post and it's almost like I could have written it myself, because I agree with every word...although you put it better than I could. And incidentally, I'm always amazed at how Turks recognise people they've met years ago, even briefly. My husband does it all the time. There have been so many occasions when he stops someone and chats to them and tells them where he remembers them from...their reaction too is one of amazement. When I ask him who they are he says "Oh don't you remember? We met them (however many) years ago in (wherever)". Of course I can never remember. The longer I stay here, the less inclined I become to write a book about it, or even talk about anything beyond my own experience. There's this inverse relationship, that learning more leads to knowing less, and I increasingly feel like I have no business talking about anything besides myself. This is probably true of life and not just Turkey. BTW, I hate that Disneyland mode of travel too. Countries aren't rides! I always planned these amazing trips where I would go see EVERYTHING, but then I'd get there and hang out in one neighborhood for a week. Perfect! I did the same thing in Side one time and I have to say it was a splendid time. I became such a fixture there that, by the time I left, with everybody greeting me by name all the time, I was starting to feel like I was living inside in a Broadway musical. Well, except for the absence of singing. I agree with Stranger's last comment too. My very first visit to Turkey was with two friends,one of whom had been here frequently. The intention was to backpack for two weeks and see as much as possible...well this was what was planned by the frequent visitor. We arrived in Göcek the first day, and the other friend and I loved it so much we just stayed. The frequent traveller got itchy feet after a week and set off alone. We just chilled out and enjoyed the wonderful atmosphere. Thanks for your compliments. Also, it is nice to know that I am not the only one that marvels at the memory of Turks.